PATERSON (WABC) -- Flags in Paterson are flying at half-staff Friday to honor a soldier from New Jersey killed during training at Fort Campbell in Kentucky. 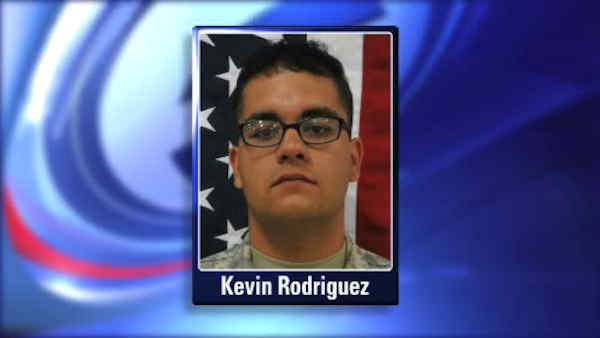 Private First Class Kevin Rodriguez, 22, was shot during a training exercise Tuesday. He was pronounced dead at about 10:20 a.m. CDT at Blanchfield Army Community Hospital at Fort Campbell. He enlisted two years ago and completed a nine-month deployment in June. A wake will be held Sunday afternoon, with Rodriguez's funeral is scheduled for Monday morning. Rodriguez was an infantryman with Company A, 1st Battalion, 187th Infantry Regiment, 3rd Brigade Combat Team, known as "Rakkasans." The incident remains under investigation. Lt. Col. Brian DeSantis, spokesman for the 101st, said Tuesday there was no indication the shooting was anything but accidental.